dimensions: low stool - 500mml x 430mmw x 450mmsh. 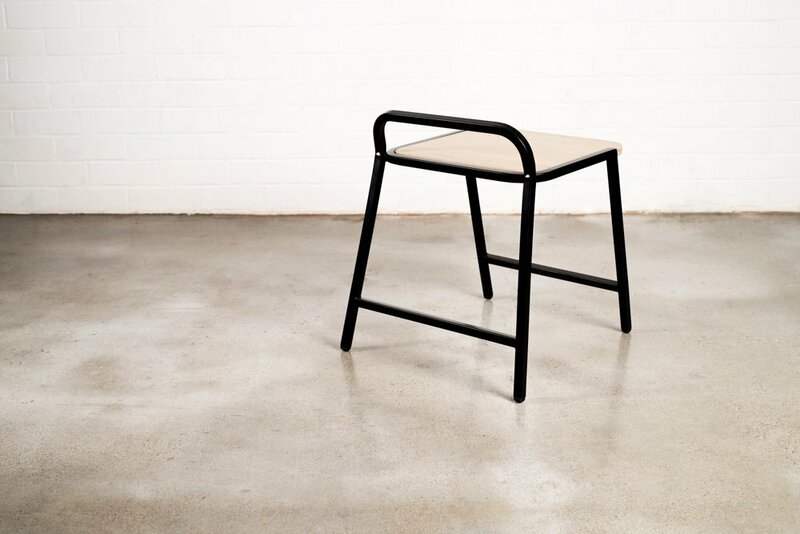 chair - 500mml x 430mmw x 450mmsh. 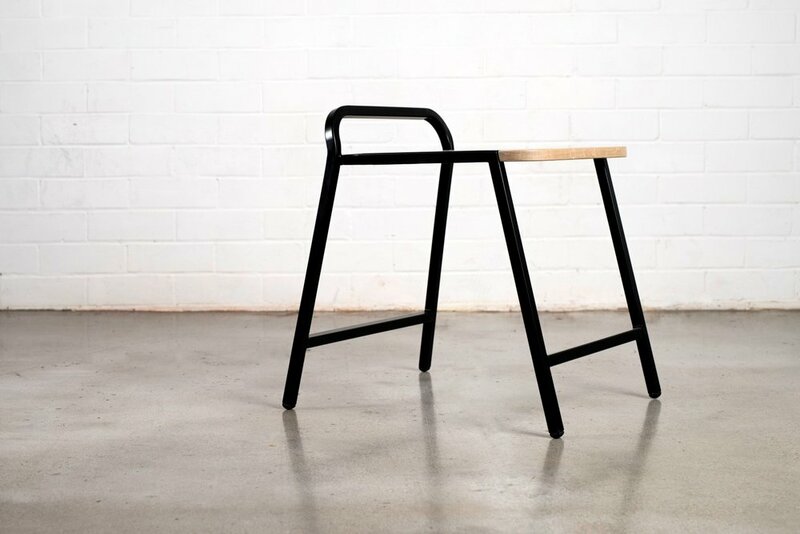 High stool - 500mml x 430mmw x 630/730mmsh. high chair - 500mml x 430mmw x 630/730mmsh. 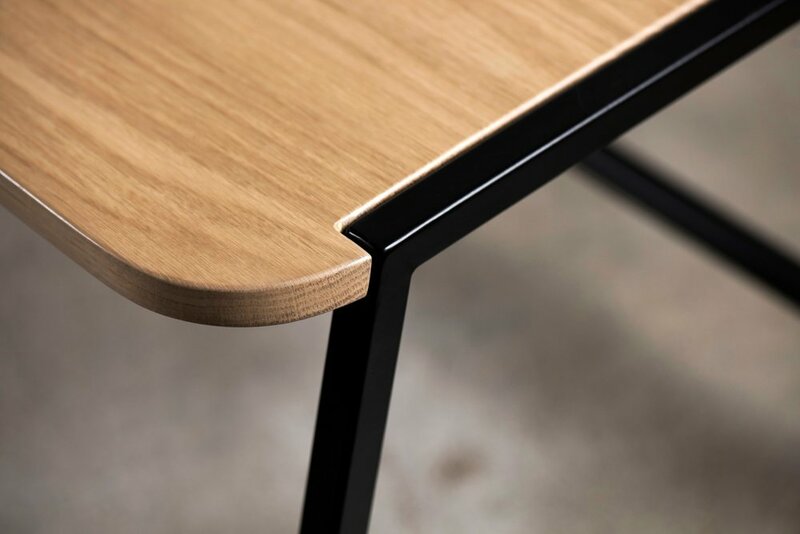 available in: powder coated steel frame, HDPE or american oak top. Frame powder coat colour customisable. Recess was created to be a reliable and unpretentious addition to modern hospitality environments. 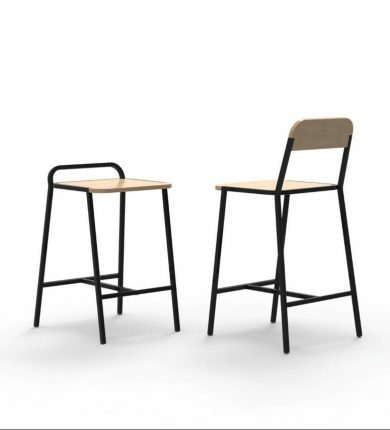 The Recess range includes both chairs and stools in multiple heights. 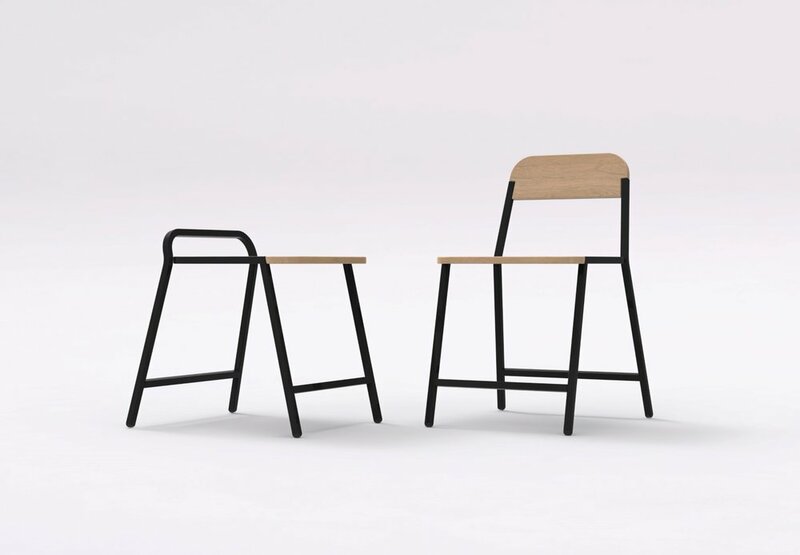 The seat and backrest is available in both American oak and HDPE and the frame can be customised to most standard powder coat colours.